Dedication services for the Seventh-Day Adventist Church at 500 South Fifth Street were climaxed here Saturday after only about six months of occupation by the Watertown congregation. Pastor R. E. Finney, Jr., president of the Wisconsin Conference of Seventh-day Adventists, delivered the dedication address. Members of the denomination came from area churches to witness the event and join with Watertown members in the services. Mayor A. E. Bentzin delivered a message of welcome, commenting on the new church organization and said he was joining in welcoming its establishment into the circle of churches in the city. "May it grow into a flourishing congregation and add its influence for good in the community," Mayor Bentzin said. 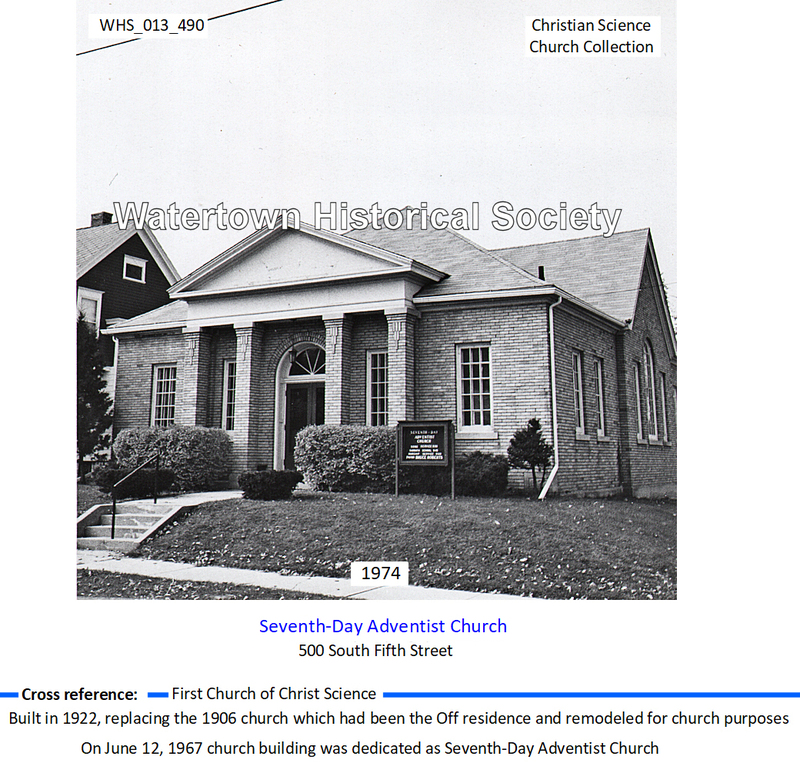 The church building was purchased late in 1966 from the Christian Science Society of Watertown, it was pointed out by D. R. Peterson, the local pastor, but final payment was not made until April of this year. "We rejoice," he said, "that the church is now entirely paid for and free of debt. We, as a denomination, do not dedicate a building until it is paid for in full." 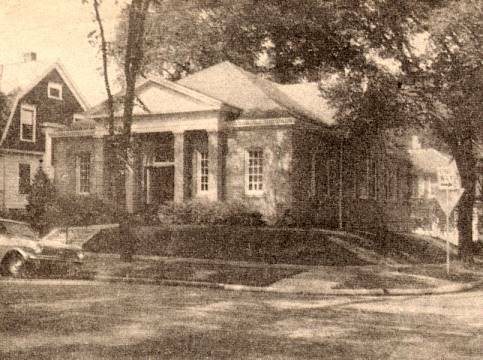 The church now becomes one of some 80 similar congregations in the state. The church of more than 40 members is part of the 5,000 members of the denomination in Wisconsin. Purchased in 1966 from the Christian Science Society of Watertown.